Tom Manley was born into a political family. The late Peter Manley, Tom's grandfather and a successful dairy farmer, served as Liberal MPP for 12 years in the 1950's and 1960's. In high school, Tom was active in student government and, at 17, was the president of the local Young Liberals Association in Stormont Dundas and Glengarry. Growing up on the family dairy farm in Eastern Ontario, Tom obtained his high education at the Tagwi Secondary School in Avonmore Ontario. Eager to see the world, Tom obtained a BSC in Computer Science at the Collège Militaire Royal in St-Jean, Québec; served as the telecommunications officer at the Canadian Forces Base Montreal in St-Hubert; moved on to become the network engineer for the lottery system at Loto-Québec, then joined Bell Canada and served as a network sales engineer for several years. In 1995, he moved to marketing and was the project leader for the development and launch of the Bell Sympatico Internet Service, which was later converted to Bell Internet. In the 1980s, Tom's parents, Murray and Carrie Manley had converted the family's conventional dairy farm to organic field crops and founded Homestead Organics. Over time, they serviced other organic farmers with grain processing and livestock feed. 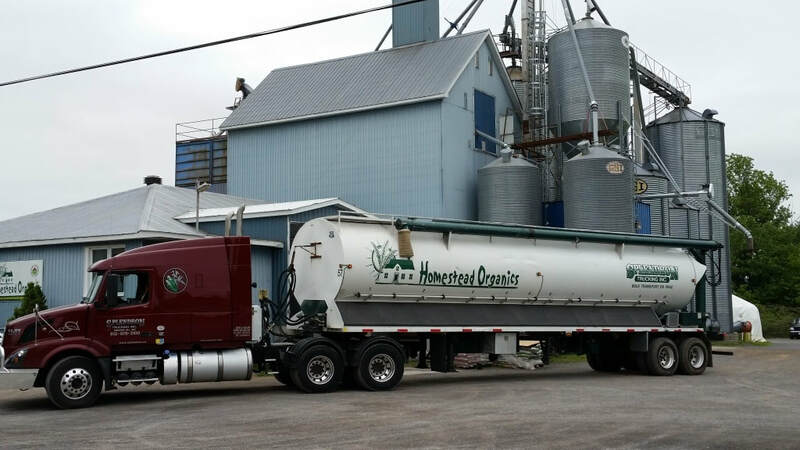 In 1997, Tom took over the grain and feed processing at Homestead Organics and moved it to the feed mill in Berwick. by 2017, Homestead Organics became the leading organic agri-service business in Ontario with three plants and 27 people. The business closed in 2018. Tom took his concerns about sustainability into active politics as a candidate in Stormont-Dundas-Charlottenburg for the Green Party of Ontario in the Provincial election in October 2003, and again a Green candidate in Stormont-Dundas-South Glengarry in the Federal election of June 2004. Tom had the honour of participating in the televised national agriculture debate alongside then minister of Agriculture Bob Speller. Tom sought the leadership of the Green Party of Canada in the summer of 2005 obtaining 37% of the vote, but incumbent Jim Harris renewed his mandate with 54% of the vote. In September 2005, Tom reconsidered his strategy for sustainable development. He resigned from the Green Party and announced his intentions to seek the nomination for the Liberal Party of Canada in the upcoming election, which was eventually called for January 23rd 2006. Although Tom was not elected, he pursues his drive for environmental sustainability through business and political action. Tom participated in the agriculture committee of the Liberal Renewal Commission in 2006 and helped produce policy recommendations on agricultural incomes, renewing the family farm, and support for organic agriculture. Tom supported Stéphane Dion for the leadership race in 2006 of the Liberal Party of Canada and volunteered on Stéphane's policy team in the agricultural and environmental domains. The leadership convention was a wonderful experience. Since the 2006 federal election, Tom's life went back to normal. The business grew well and he continued to participate in various community endeavours, such as Canadian Organic Growers' annual Eco Farm Day annual conference in Cornwall, the former Cornwall Carbon Reduction Initiative, and president of the Community Advisory Council of Alfred College., the presidency of the Organic Council of Ontario, and the advisory council of Sustain Ontario. The family business, Homestead Organics, recently announced a major expansion and move to Morrisburg ON with the launch of Organic Central. 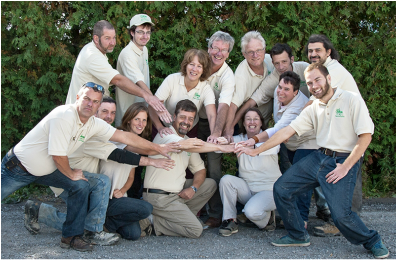 In 2013, The Manley family celebrated 25 years at Homestead Organics. Tom supervised the closure, with great sadness, of the family business Homestead Organics in 2018. His new careers develop in the areas of ballroom dance instruction and independent consulting in business operations. When you buy eggs at a farmers market, where did they come from? Yes, they came from a chicken, but as Tom Manley of Homestead Organic explains in this video, that's just the tip of the iceberg. Farmers need seeds if they're going to grow anything and need feed if they're producing meat products. That's where Tom enters the picture. Tom buys seeds from seed farmers which he cleans, bags, and sells to crop farmers after carrying out quality control. In this video, in addition to Tom, you'll meet the seed farmer who sells to Tom and the poultry farmer who buys three tons of feed for his hens from Tom. They're all part of a long and complex chain of local operations that culminates in the delicious meat or produce that we buy at our local market.